If you are looking for that perfect winter getaway, investment property, or to make a permanent move to Puerto Vallarta, Mexico, contact one of the expert realtors at Timothy Real Estate Group today. Puerto Vallarta, Mexico - The first 3 Quarters of the year have flown by and we have the results from the first 9 months of the Puerto Vallarta and Riviera Nayarit real estate market in 2017. It has been a stellar year so far filled with incredible weather, activities, theater, concerts, parades and celebrations, and of course a very busy real estate market. Here is a comparison of the first three quarters of 2017 compared to the first three quarters of 2016. • The number of Condominium Sales in the bay are up by 68% and Sales Volume is also up by 68 percent. • The average Condominium Sales Price is up by 0.33%. • The number of House sales in Puerto Vallarta is up by 21% and Sales Volume is up 31%. • The average sales price has dropped slightly by 7% due to extra inventory still on the market but this is representing some great opportunities to purchase at a great value. • Land Sales across the bay have jumped an amazing 204% over last year with the average sales price up by 5%. • And we had a 20% increase in the number sold so there were some larger sales. • Overall Grand Totals show a 1% increase in Active Listings in the bay while the number of Sold inventory in the bay has shot up by 53%. • Overall Sales Volume is up by 61% over last year and the average sales price around the bay is up by 5 percent. In general we had a spectacular 9 months in 2017. We are back to some higher exchange rates after the first 9 months for Mexican national buyers and Canadian buyers who have been looking at increases due to rate exchanges. In October we were back up to 19 pesos to the US dollar. Some that had been holding back on making their investments until exchange rates lowered have jumped into the market to be able to invest and protect their US dollars. Buyers have decided to go ahead and invest, but maybe in a different price range. Looking forward, we see 2018 as a very healthy and robust season with some beautiful new product available for almost everyone. Timothy Real Estate Group is happy to report that we have been the number one listing and selling agency in the greater Bay of Banderas for the last seven years, which means we bring to the table our qualified, professional representation in all aspects of your real estate transactions. We offer talented negotiators and experts to make your experience joyful and satisfying. 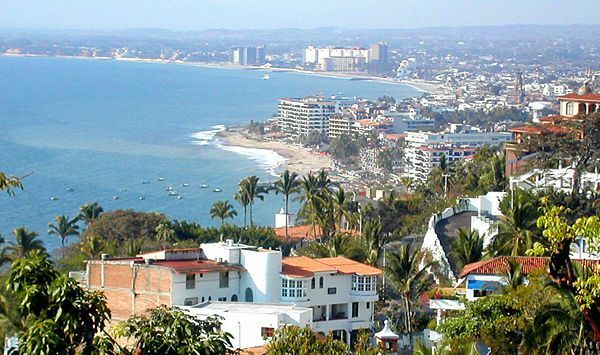 Soon we will have 7 sales centers across the Bay of Banderas from Sayulita, Nayarit to Puerto Vallarta’s Romantic Zone. Please feel free to contact your Timothy Real Estate Group professional for any questions regarding this market report. We believe buying or selling a home is first and foremost about people. Of course we have the latest technology, marketing tools, statistics and research, but a successful real estate transaction really comes down to people. Connecting the right buyers to sellers or investors, our professional agents structure solid transactions with successful solid outcomes. We believe in collaboration by connecting people in ways that bring satisfaction and success. Timothy Real Estate Group has been the number one selling and listing agency in the greater Bay of Banderas region since 2011. If you are looking to sell or purchase a property, please contact one of the Timothy Real Estate Group agents for the best experience in Puerto Vallarta real estate. With 5 sales offices around the bay TREG agents know the local neighborhood markets and can ensure your experience is the best that it can be. For more information, visit TimothyRealEstateGroup.com.